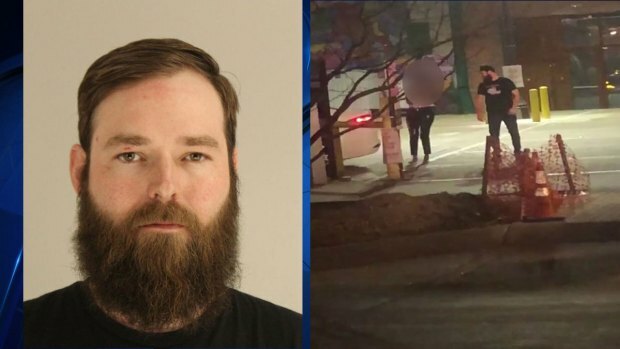 The lawyer for a woman severely beaten in Deep Ellum last week said Dallas County District Attorney John Creuzot personally wants to interview her before deciding what charges the alleged attacker should face. Creuzot's office said he is out of town until Thursday. The woman, L'Daijohnique Lee, returned Monday to the scene of the crime on Elm Street, with her lawyer Lee Merritt, to retrace her steps. Lee said she has not recovered from her wounds and from the fear she could be attacked again. "I haven't been able to eat, haven't been able to sleep. It's always on my mind. I'm scared," Lee said. "I don't know what's bothering me, who's behind me, who he has watching me." 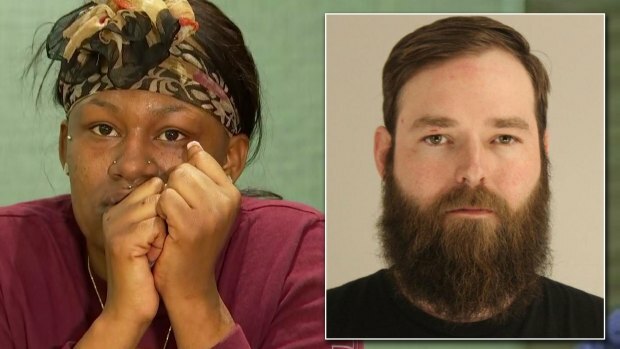 L'Daijohnique Lee, the woman attacked and beaten in a Deep Ellum parking lot last week, spoke publicly from her attorney's office Monday as activists called for more serious charges to be filed against her accused attacker. The man accused of beating Lee, Austin Shuffield, is free on bond. The woman said her attacker walked around her car, photographed her license plate and may have learned where she lived. Since the attack, Merritt said Lee felt unsafe at home and has stayed in hotels. Shuffield was charged with misdemeanor assault, interfering with an emergency call and public intoxication after he confronted Lee early Thursday morning in an Elm Street parking lot. Shuffield worked at a nearby business and has since been fired. Lee had just pulled in, to avoid driving the wrong way on one-way Elm Street. A bystander's video, which has been replayed around the world, recorded the beating. Merritt said a gun the man was seen carrying in the video, his use of the N-word and Sheffield's past social media posts, all support making the case a hate crime felony, not just a misdemeanor. "File appropriate criminal charges against this man and ensure that he is not able to hurt anyone else in the future," Merritt said. 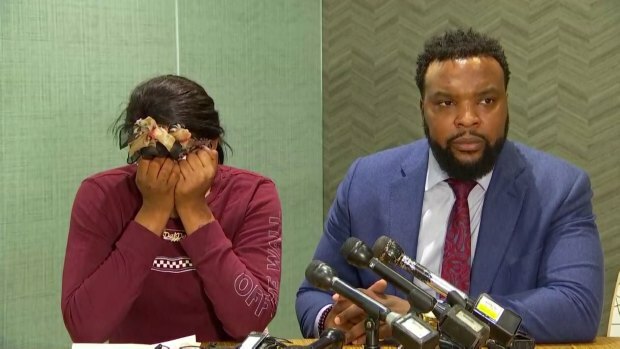 L'Daijohnique Lee, the woman attacked and beaten in a Deep Ellum parking lot last week, spoke publicly from her attorney's office Monday as activists call for more serious charges to be filed against her accused attacker. Angry demonstrators supporting Lee went to the Dallas City Council Public Safety Committee meeting Monday. Councilman Adam McGough, the committee chairman, said he had seen the video. "Men, fathers and just general human beings have a problem with what took place," McGough said. Dallas Mayor Mike Rawlings came into the chamber to listen as McGough allowed the demonstrators to speak. Activist Olinka Green became emotional as she complained about the situation. "You let this man walk. You let him walk. You let him out," Green cried. Another group of demonstrators went to Dallas police headquarters and demanded Sheffield's charges be upgraded. Reverend Ronald Wright, with Justice Seekers Texas, said the case would have been handled differently if it had been black on white crime. 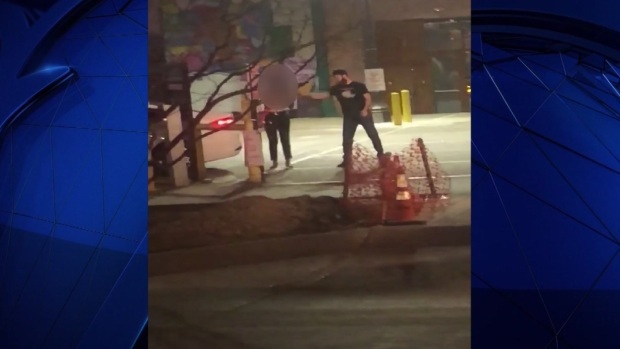 The man accused of beating a stranger in a Deep Ellum parking lot is free on bond and activists are calling for him to go back to jail on steeper charges. "We're going to ask that justice be done. Why is there a disparity in who should get treated a certain way?" Wright said. Dallas Police Chief U. Renee Hall did not attend the Public Safety Committee Monday, but Friday she said police detectives would review the video and make adjustments to the charges, if necessary. Merritt said Creuzot would have the opportunity to upgrade the case against Shuffield. "Until he is rearrested, Miss Lee is not safe," Merritt said. "And so while we appreciate that it's a process, we want to see those charges move forward with all deliberate speed and steps taken to make sure he is not a danger to her or other members of the community." Merritt said Lee would not publicly discuss details of the attack until she had spoken with the Creuzot or his investigators. Lee said she suffered a concussion in the attack and other injuries including swelling in her jaw, a black eye and an injury to her ear. Merritt said Lee had been to the emergency room three times since the attack, most recently on Sunday, and had received referrals to a facial surgeon and a psychiatrist. "My body still hurts. Everything still hurts," Lee said. Merritt said he planned to file a civil rights claim against Shuffield and his former employer High & Tight Barbershop and Bar. Merritt said Shuffield's employer had a responsibility to protect the public and that Shuffield expressed a hostile and racist nature online. Shuffield could not be reached Monday. NBC 5's Vanessa Brown and Frank Heinz contributed to this report.